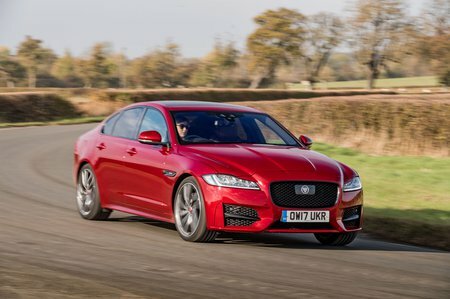 Jaguar XF 2.0d  Prestige 4dr Auto 2019 Review | What Car? What Car? will save you at least £3,555, but our approved dealers could save you even more. Entry-level Prestige trim isn't as spartan as you might imagine, with heated leather seats, cruise control, keyless start, automatic emergency braking, lane departure warning, automatic headlights and wipers, LED daytime running lights, rear parking sensors, an 8.0in touchscreen, a DAB radio and sat-nav all featuring as standard.